Syrian Withdrawal Requires More US Troops? Syrian Air Defences Fire on Enemy Target! 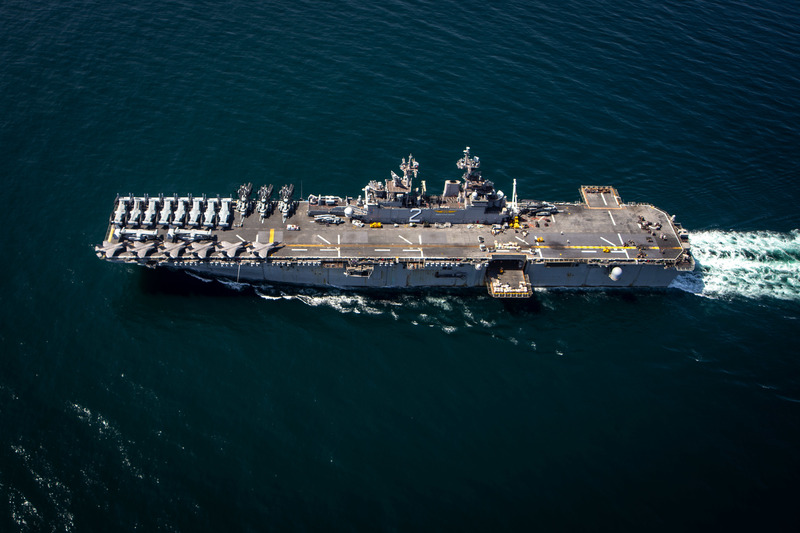 "The USS Kearsarge amphibious assault ship is now in the region and could provide troops and equipment to support the withdrawal." Is the Next Phase of the MENA Remake About to Begin? Iraq in NATO. Judging by this latest report there are more troops, amphibious ready groups etc., then had been initially reported... as the 'withdrawal psyop' continues on. Two Navy amphibious ready groups and about 4,500 shipboard Marines are on standby in the Middle East to support an American exit from Syria if needed, a defense official confirmed to USNI News late Monday. The three-ship Kearsarge Amphibious Ready Group with the 22nd Marine Expeditionary Unit transited the Suez Canal into the Red Sea over the weekend, while the three ships of the Essex ARG and the 13th MEU are on station just outside the entrance to the Persian Gulf in the North Arabian Sea. The 13th MEU is deployed with a squadron of Marine F-35B Lighting II Joint Strike Fighters aboard USS Essex (LHD-2), which have been used to strike targets in Afghanistan. Last week The Wall Street Journal reported that, rather than withdraw troops from the bases in Syria immediately, the Pentagon was staging forces at key installations in Kuwait and Iraq that would be needed to pull out forces from the U.S. bases inside the country. On Friday, The New York Times reported the U.S. had begun to pull out equipment but not personnel from the American bases in Syria. Russian & Turkish Deal on Idlib?